You are currently viewing Archived reports for the week of 11 April-17 April 2007. A summit eruption that occurred at Etna on 11 April began with an increase in volcanic tremor and was followed by lava fountaining. 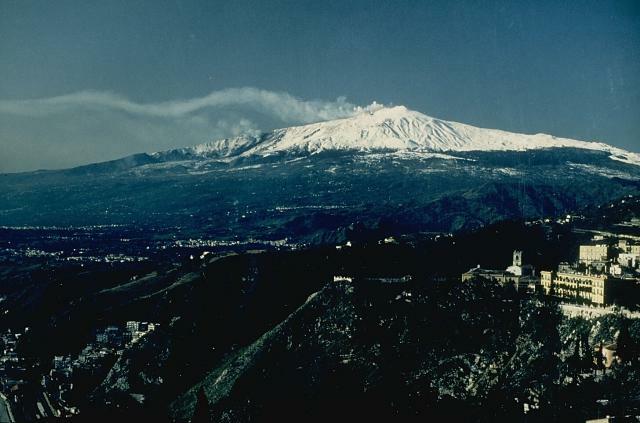 A resultant ash plume drifted E; ashfall was reported as far as Zafferana, about 10 km to the E. Two lava flows were observed at the summit of Etna, one towards the E within the Valle del Bove, and the second to the S. The E lava flow stopped 3 km away at the base of the Serra Giannicola Grande, within the W Valle del Bove. The second flow stopped near Mt. Frumento Supino (less than 1 km S of the summit). The INGV-CT monitoring web cameras showed that the eruption lasted about 5 hours. 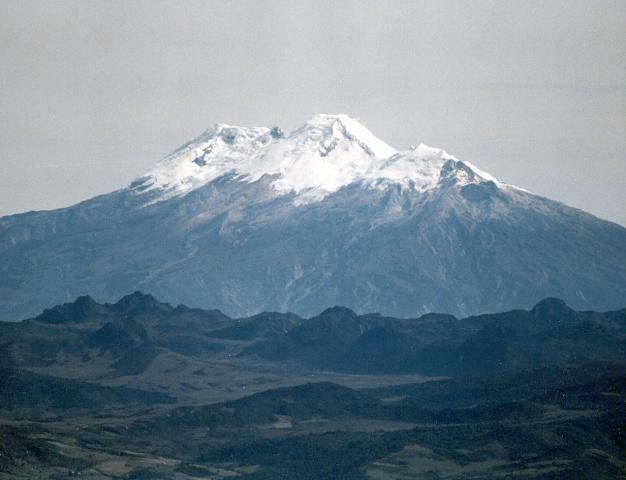 According to the Washington VAAC, a pilot reported an ash plume from Nevado del Huila on 17 April. An ash plume that was evident on satellite imagery at 0415 rose to an approximate altitude of 11.3 km (37,000 ft) a.s.l. and drifted E. An additional plume drifted SW. Later that day, INGEOMINAS reported increased seismicity. 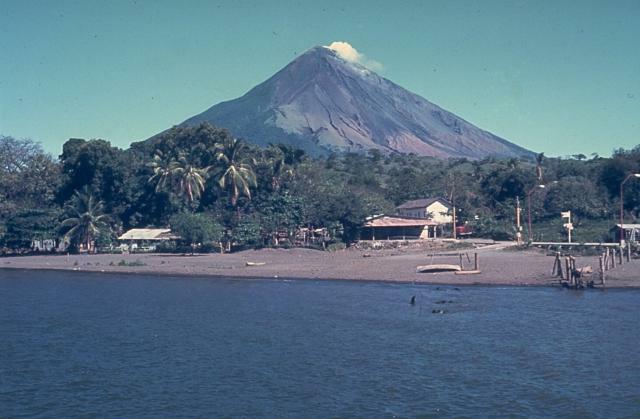 At 0257 on 18 April, INGEOMINAS reported an eruptive event. Based on a news article, an eruption triggered landslides and swelled rivers. 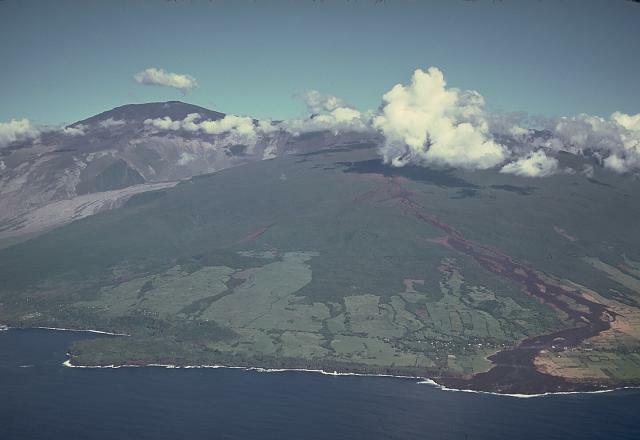 About 5,000 people evacuated from areas to the S.
OVPDLF reported that the eruption of Piton de la Fournaise from the S-part of Grand Brûlé continued during 11-17 April. 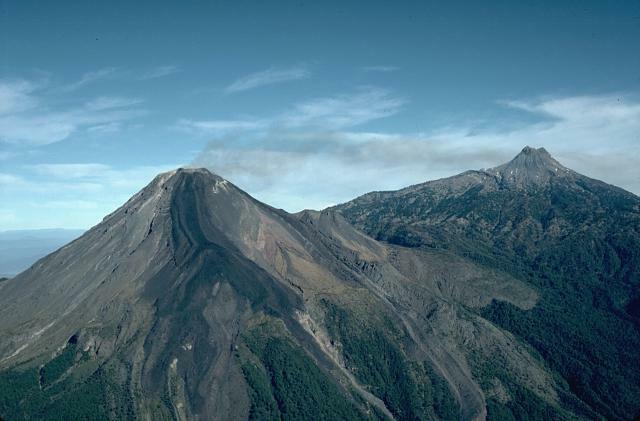 On 12 and 13 April, strong seismicity was followed by emissions; a gray plume from the summit of Dolomieu crater drifted NW. Also on 13 April, lava fountaining increased and resulted in several broad lava flows moving towards the sea. On 14 April, projected material reached 100-200 m above the point of emission. 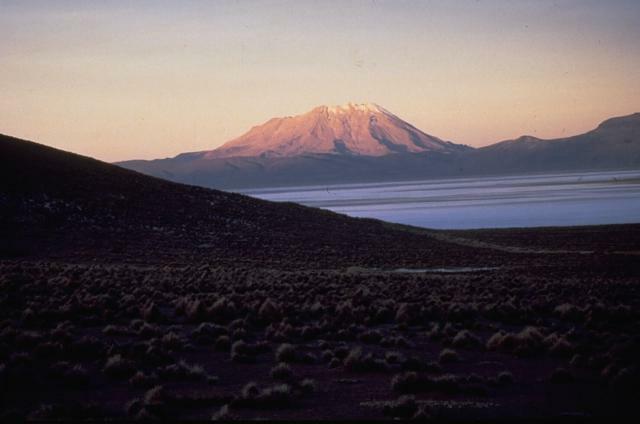 On 11 April, a steam plume from Reventador rose to an altitude of 3.8 km (12,500 ft) a.s.l. Visual observations were hindered during 12-17 April due to inclement weather. On 13 April, the lava flow on the S flank, first observed on 28 March, was 15 m thick and possibly active. Based on satellite imagery and direct observations by CVGHM, the Darwin VAAC reported that on 11 April a diffuse plume from Batu Tara rose to an altitude of 1.5 km (5,000 ft) a.s.l. and drifted W. On 17 April, CVGHM lowered the Alert Level from 3 to 2 (on a scale of 1-4). Seismic activity at Karymsky was above background levels during 10-13 April. 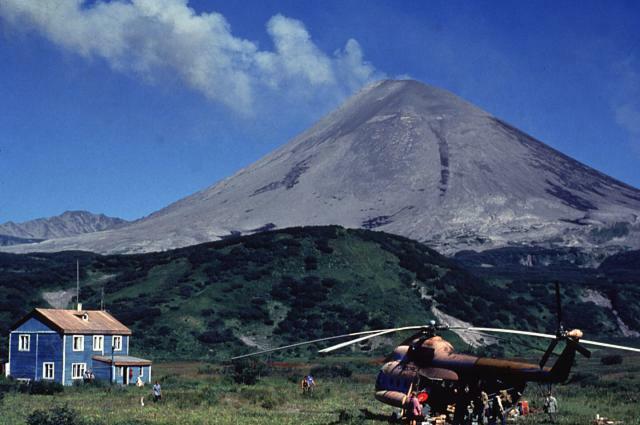 Ash plumes from explosions may have reached altitudes of 4 km (13,000 ft) a.s.l. during the reporting period. The Level of Concern Color Code remained at Orange. On 11 April, lava from the E arm of Kilauea's Campout flow at the base of the long-abandoned Royal Gardens ignited fires within the subdivision. During 11-17 April, lava continued to flow across a lava delta into the ocean at the Kamokuna entry, but lava was not seen entering the ocean at East Lae'apuki. Incandescence was intermittently visible from several breakouts on the Pulama pali and from several vents in the Pu'u 'O'o crater. Earthquake activity was scattered at the summit and S-flank areas. Seismic activity at Kliuchevskoi continued above background levels during 10-13 April. Based on observations and video data, lava flowed down the NW flank and Strombolian activity occurred at the crater. Everyday during 10-13 April a gas-and-steam plume possibly containing a small amount of ash rose to an altitude of 6.3 km (20,700 ft) a.s.l. and drifted E. A thermal anomaly in the crater was detected on satellite imagery during 10-12 April. The Level of Concern Color Code remained at Orange. 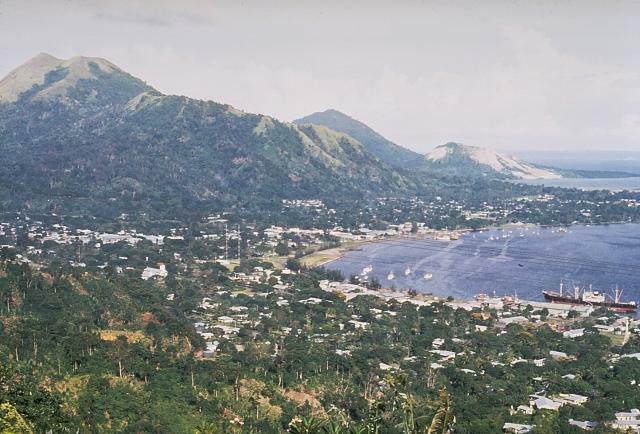 RVO reported that during 10-17 April, Rabaul caldera's Tavurvur cone emitted steam and steam-and-ash plumes that rose to 1.1-2.7 km (3,600-8,900 ft) a.s.l. and drifted S and SE. Weak roaring noises occasionally accompanied the emissions. Small amounts of incandescent material were ejected from the crater during 13-15 April. Seismic activity at Shiveluch continued above background levels during 4-10 April. Based on seismic interpretation, observation, and video data, possible ash-and-steam plumes rose to altitudes of 4.5-7 km (14,800-23,000 ft) a.s.l. throughout the reporting period. Based on satellite imagery during 10-12 April, plumes drifted N, NW, SE, and SW and a thermal anomaly was present. The Level of Concern Color Code remained at Orange. 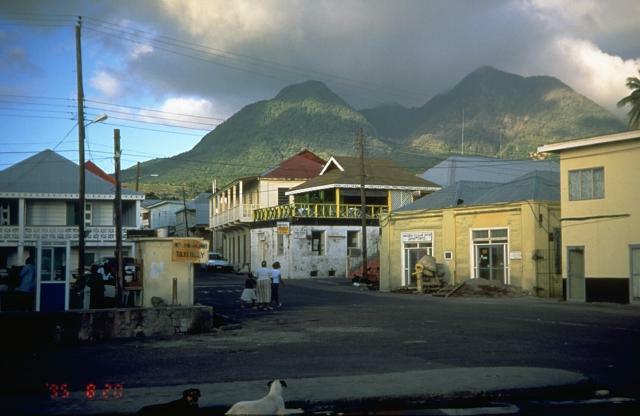 Based on visual observations, lava-dome growth at Soufrière Hills continued at a reduced rate during 6-13 April. Material originating from the E-facing shear lobe was shed down the Tar River Valley. 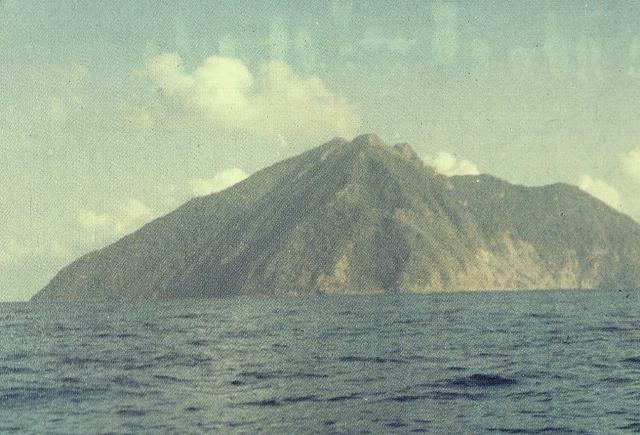 Minor rockfalls and pyroclastic flows were noted. 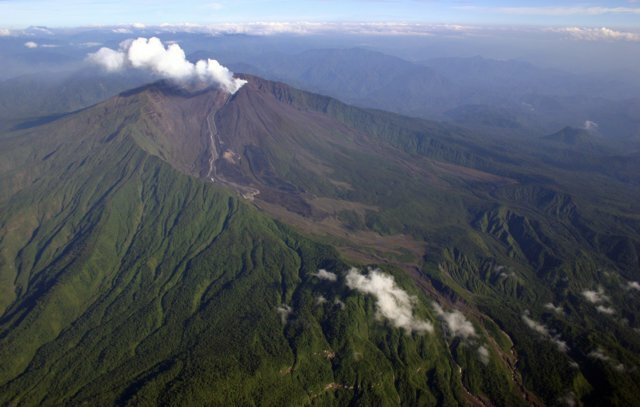 On 17 April, a small pyroclastic flow was observed to the NW in the upper part of Tyres Ghaut. 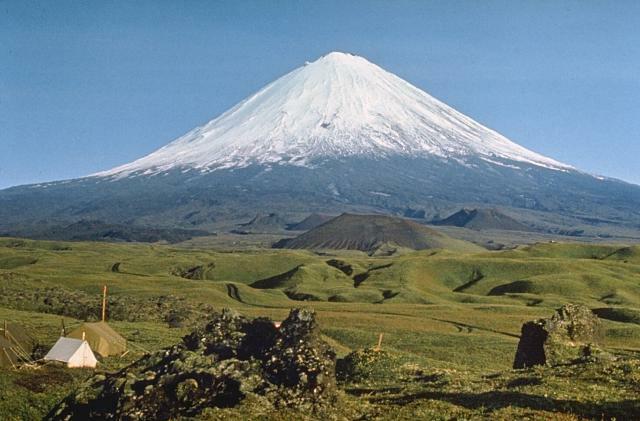 The lava-dome volume was an estimated 208 million cubic meters. 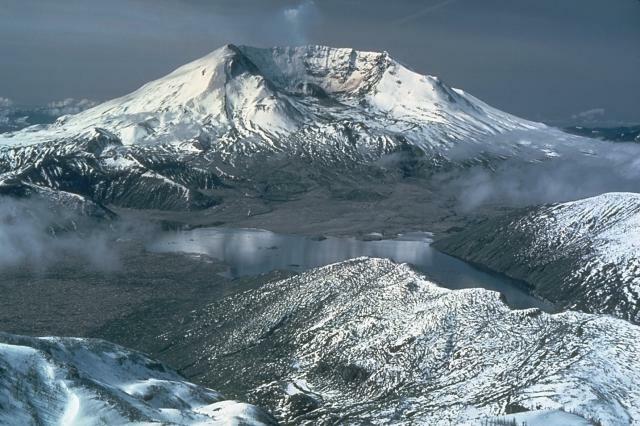 Data from deformation-monitoring instruments and observations from a remote camera showed that during 11-17 April lava-dome growth at Mount St. Helens continued. Seismicity persisted at low levels, punctuated by M 1.5-2.5 and occasionally larger earthquakes. Clouds occasionally inhibited visual observations. 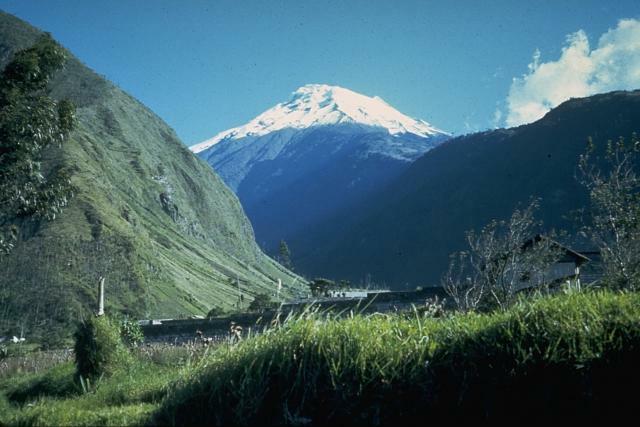 IG reported that based on visual observations and reports from pilots, ash plumes from Tungurahua rose to altitudes of 6.7-8 km (22,000-26,200 ft) a.s.l. and drifted NNW on 11 April. 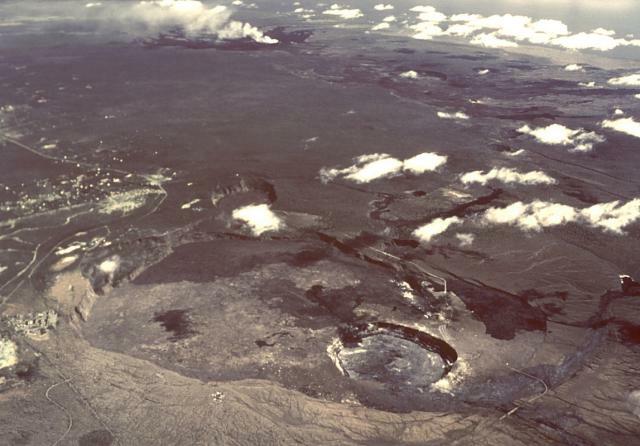 Fumarolic activity originated from the NE and E edges of the crater. During 12-17 April, ash plumes, occasionally accompanied by roaring, rose to altitudes of 5.8-8 km (19,000-26,200 ft) a.s.l. and drifted mainly W. Ashfall was reported from areas downwind on 12 April. 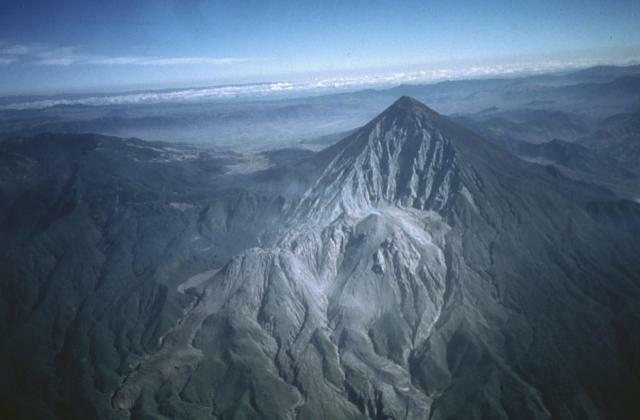 During 13-14 April, Strombolian activity was observed; incandescent material was ejected about 200-300 m above the summit and blocks descended 500-800 m down the flanks. 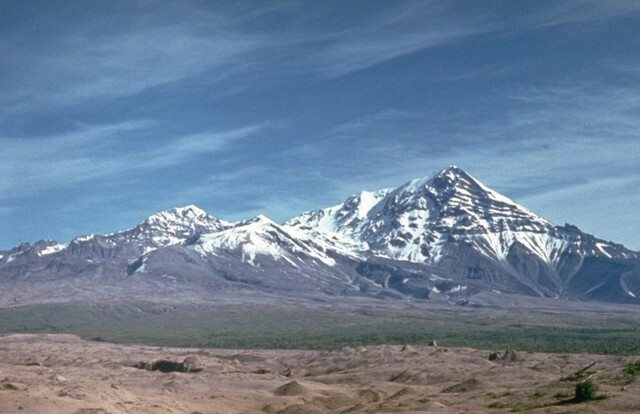 During 15-17 April, lahars descended several NW, W, and SW valleys. In the Pampas sector, lahars with blocks 50 cm in diameter disrupted the roads between Ambato and Baños, and between Baños and Penipe. Based on a significant meteorological notice (SIGMET), the Buenos Aires VAAC reported that an ash plume from Ubinas rose to altitudes of 5.5-7 km (26,000-27,000 ft) a.s.l. on 10 April and drifted W. INGEMMET reported that on 11 April, emissions of gas and ash produced plumes to altitudes of 6.2-6.4 km (20,000-21,000 ft) a.s.l. and drifted E. Based on an additional SIGMET, the Buenos Aires VAAC reported that an ash plume rose to altitudes of 6.1-6.4 km (20,000-21,000 ft) a.s.l. and drifted SE.